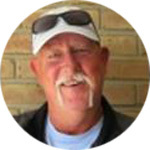 Randy has been an active tennis player for 40 years, and has been teaching for the past 30 years. He has won over 32 singles, doubles, and mixed doubles titles combined. He draws from his years of playing experience, which enriches his teaching style. Randy’s patience and upbeat approach creates a fun learning experience for his students. Randy has held the Junior Varsity coaches postion for the Troy Athens Girl’s tennis team since 2010. Randy is most easily recognized by his broad welcoming smile.